The popular My Melody of Hello Kitty fame joins Figuarts ZERO as an expressive posable figure! My Melody measures 3-inches tall. 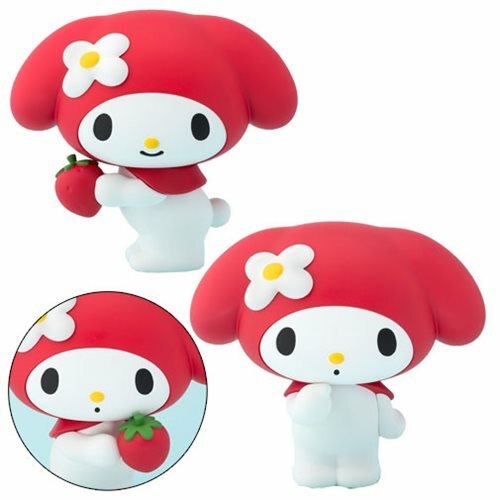 This red version of My Melody comes with two face variations and two pairs of arms - one empty handed and one holding a strawberry! Ages 15 and up.